Professor the Hon Gareth Evans AC QC, Chancellor of the Australian National University and Foreign Minister of Australia 1988-96, Government House, Sydney, 17 July 2012. One likes to share that we have[I] have read it too. The following is faithfully reproduced from the original with only the additions of white space, and headings to ease later reference and reading with a couple of annotations here and there. Bob Hawke’s particular contribution was to get the Commonwealth to take a leading role on this, beginning by initiating a ground-breaking study, by an expert committee chaired by Tony Cole, who later headed the Australian Treasury, which made clear that financial sanctions were indeed the key to success, and laid all the foundations for their systematic international implementation. To ensure that this work did not just languish in the Commonwealth bureaucracy, we then followed this up – I had by this time become Foreign Minister – by sponsoring the publication of a highly influential Penguin book by Cole and the scholar and author, Keith Ovenden, called Apartheid and International Finance: A Program for Change, which we ensured was circulated among policymakers worldwide. Another Hawke/Australia initiative at the 1987 CHOGM was the establishment of the Commonwealth Committee of Foreign Ministers (CFMSA), in which I became very closely involved over the next few years, chaired by Canada’s former prime minister Joe Clark and including among others from around Africa, Asia and the Caribbean, a future prime minister of India, Narasimha Rao, and president of Tanzania, Ben Mkapa. Its role was to monitor the evolution of Commonwealth policy, including in particular the new financial sanctions, and to develop a strategy not only of relentlessly increasing sanctions but also winding them back to the extent that particular benchmarks of policy change were achieved by the South African government. These were years when I and other members of the group consolidated close personal and policy links with the key African National Congress players, particularly Thabo Mbeki, later to become President, and the Mandela generation leaders Oliver Tambo and Walter Sisulu. The CFMSA was a group that developed a very close internal esprit de corps, and gave me some of my most close and long-lasting international friendships, as well as laying the foundations for some very treasured friendships with key players in post-apartheid South Africa. The Foreign Ministers Committee also gave me but also some of my more memorable diplomatic experiences. One was at the 1989 CHOGM in Malaysia, when a major confrontation developed with Margaret Thatcher’s UK government over its then extremely reluctant approach to applying sanctions pressure, with her very newly appointed Foreign Secretary (and later to be Prime Minister) John Major the man in the middle, neither very well-informed about the issue nor any more inclined than any of her other cabinet ministers to take on the Iron Lady. Things got off to a rather bad start when I suggested to him on behalf of the group that he join us for an informal dinner the night before the formal meetings started, to explore ways of finding common ground, and he replied that he was available, but “did not choose to” have any such discussion. Things got worse when I reported this back to my colleagues, and we had next day – in what diplomatic parlance would describe as a “robust exchange”, and anyone else as a full-scale verbal brawl – some extended exchanges across the table on the adequacy of UK policy. The relentless international pressure for change and the ever mounting internal tension had created all the necessary conditions for change, but there was still need of white political leadership clear-headed enough to grasp the moment. Listen to Burning Spear Track From 1987,Part Of The Big Free Mandela Movement.And Some Pictures Of Strongest Artist In Reggae Music.Still Going Strong! That came at last with succession to the Presidency in February 1989 of FW De Klerk, replacing the ailing hardliner PW Botha. 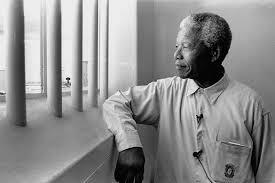 The speech he made to launch the reform process in February 1990 was genuinely historic, announcing as it did the Government’s willingness to enter into serious negotiations on a wholly new democratic and non-racial constitutional dispensation, the unbanning of the ANC and other political organisations, and above all the release from imprisonment, after 27 years, of Nelson Mandela, whose life and achievements we celebrate today. Whatever his past may have been, De Klerk saw the light at the right time, delivered in full on the expectations he created, has been an influence voice for peace and reconciliation around the world ever since, and fully deserved the Nobel Peace Prize he shared with Madiba in 1993. Although in a sense once this breakthrough had been made, the rest was history, the transition process was long and gruelling, and with many ups and downs along the way before the country’s first genuinely democratic election was held in 1994. Not all the government’s actions matched its rhetoric, with particular concern being the outbreak of major violence in major Black townships, with apparently well-founded allegations of overt security force incitement. The Commonwealth, with Australia again playing a central role, responded by using sanctions again, this time with their lifting as a carrot rather than their application as a stick. Sanctions were in fact progressively lifted as the apartheid system was unwound, non-racial sports administration achieved, a new constitution adopted and elections held. Australia played an active nuts-and-bolts role throughout this process, instituting a $30 million program to help with infrastructure and human resource development, and providing members to Commonwealth and UN observer groups involved in observing and defusing violence throughout the country, and in assisting in the electoral process. I first visited South Africa in June 1991, in the early days of the transition process. It is a trip which has assumed a certain legendary status of its own as a result of a carefully contrived press leak (by old guard forces in the South African Foreign Minister who hated what Australia had been doing to undermine their regime). A highly coloured account was put out of another (putting it gently) “robust exchange” I had with a South African security official who I believed was putting at risk the safety of one of my township contacts during an intended low-key visit to Khayelitsha. 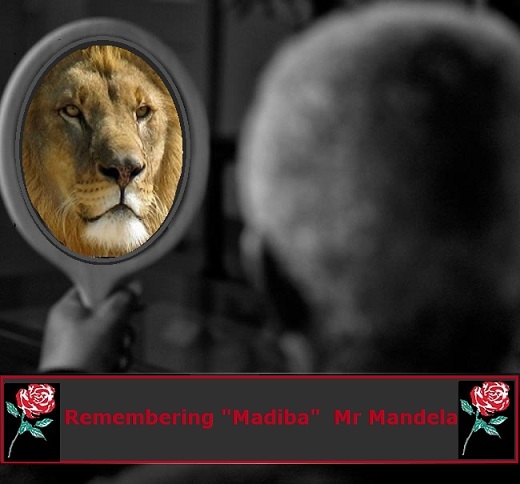 The highly critical press reports caused me considerable embarrassment at the time, but seems to have done no harm to my reputation among Black South Africans, those of whom with long memories occasionally say to me “man, you really stuck it to them”. What was much more important than that incident in my 1991 trip was the very clear statements made to me by a number of ministers and officials, subsequently confirmed in public statements by the Governor of the Reserve Bank and Finance Minister, and years later in conversations with FW De Klerk himself, that the really decisive factor in creating the conditions for the transition – for the end of apartheid – was the impact of the financial sanctions, from the mid 1980s on, but with much more accelerated impact in the last two years before the De Klerk speech. The whole process was self-reinforcing in a way that trade sanctions never were and never could have been. Every new financial institution in some part of the world refusing credit, or setting tougher terms, increased the risk for other suppliers still in the field. By 1990 the denial of access to new international capital was dramatically and comprehensively strangling the economy. South Africa could fund internally growth of no more than 2 per cent a year, but it needed to grow at least 4 per cent or more to create jobs for its expanding population and to maintain existing standards of living. If nothing had changed, the country would have exploded. So Australia was, I believe, a prominent and effective international voice on the anti-apartheid issue over many years. The sports boycott conceived and led by Australia was psychologically important in creating a sense of isolation and vulnerability, and the financial sanctions – in their fullest application again a significantly Australian initiative – were profoundly practically important in their economic and ultimately endgame political impact. Why did successive Australian governments – at least from the 1970s on – commit so much effort to resolving a situation so little of our making? I think the short answer lies in that instinct for good international citizenship which, despite periodic lapses by various governments (and oppositions) which ought to know better, is part of our national psyche. The enforcers of apartheid, proclaiming their superiority to others on the basis of race alone, were not just another unpalatable regime, but beyond the civilized pale. If we had washed our hands of the struggle against them, we would not only have failed in our humanitarian duty, but would have debased the very values which are at the core of our sense of human dignity. It’s a fight that had to be won, and I am proud that we played our part in it. And there is no better occasion to recall that fight, and our part in it, than a day like this, celebrating the life and achievement of Nelson Mandela. There is no single person on this planet who could remind us more, by the dignity of his bearing and the humanity which shines through everything he has said and done and is, of what was at stake in this struggle.